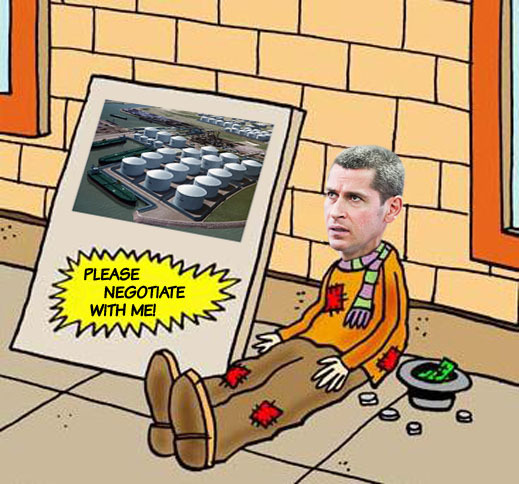 If Ziyavudin Magomedov hadn’t persuaded a Moscow business newspaper to report yesterday that he is in negotiations with Rosneft, world’s largest publicly traded oil producer, the news that Vitol, world’s largest oil trader, has abandoned a 3-year old venture to build a new Rotterdam oil terminal with Magomedov would have been bad news indeed. Magomedov has a knack for exaggerated deal releases, though, and the Rotterdam press coverage of the latest episode makes this one look worse for Magomedov than if he had said nothing at all. Who in their right mind broadcasts that he has asked Igor Sechin, chief executive of Rosneft, for money until after Sechin has said yes. In Magomedov’s case, an appeal to Sechin also means that not even the financier of Magomedov’s last resort, David Bonderman of US-based TPG Group, is willing to put up his dime. Anonymous sources claimed to Vedomosti that there had been a sale and purchase transaction, and that the reason Vitol was selling out was that it wanted the control shareholding of the venture which Summa wouldn’t sell. Before Vitol’s exit, VTTI held 25%, Summa 75% of Shtandart TT B.V In 2011 Shtandart was the winner of a port authority tender for the project called Tank Terminal Europoort West (TEW). The tender win carried the undertaking that Summa would deliver Urals blend crude oil in sufficient volumes to fill the 30-million tonne-capacity terminal. Instead, Summa and its trading companies, Star Oil and Souz Petroleum, have lost Russian oil company support, while Vitol has made direct trading arrangements of its own with Rosneft for both crude oil and liquefied natural gas. VTTI gives priority to investments in projects elsewhere in the world in which it has a majority shareholding, VTTI chief executive Rob Nijst told the Dutch newspaper Financieele Dagblad. That’s a polite way of saying that after three years of agreeing with Summa to invest at least € 700 million in the terminal project, VTTI and Vitol changed their mind. 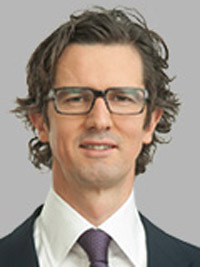 Alexander Weissink, Rotterdam correspondent for Financieele Dagblad, reported that “insiders confirm that the exit of Vitol [reflected] the inability of Russian investment company [Summa] to deliver the promised amount of oil.” Without confirmation from Summa of oil to fill the terminal’s tanks, the financing and investment risk was considerable. That’s a roundabout way of saying that the Rotterdam Port Authority and the municipal planners have yet to issue a permit for the construction to begin. The reason for that, reports Weissink, is that Summa hasn’t submitted a bank guarantee for at least half the €150 million required for infrastructure building on the top of which the terminal will operate. Vitol claims in its announcement that VTTI “will continue its commitment to remain involved in the project as a local partner, supporting the shareholders in the licensing process and construction phase.” But that doesn’t mean money. The Dutch report suggests that Summa has yet to show that without Vitol, it has either oil or money. Vedomosti was persuaded to report a hypothetical alternative for both – “At Summa in the port of Rotterdam there may appear a partner” reads the headline. Watch that может (“maybe”). Vedomosti also reported that “talks about ‘cooperation in the framework of the project’ have been connducted with the state company Rosneft…[according to a] source close to the oil company.” Magomedov’s offer to Sechin, as reported, is to replace Vitol by buying into the terminal project company, contribute cash, and guarantee the shipment of oil. Summa refuses to answer questions about these talks. Rosneft refuses to confirm the reported deal. Summa’s failure to raise state bank financing for other projects has been reported here. Its dependence on TPG to finance Magomedov’s premium-priced takeover of Far Eastern Shipping Company (Fesco) was reported here. Magomedov’s two managers at the Summa holding, Alexander Vinokurov and James Simmons, both worked for TPG before they signed on at Summa. Their boss, Stephen Peel (right), TPG’s head of developing Asia and Russia, now sits on the Fesco board of directors to mind TPG’s money. Bonderman is Peel’s boss in the US and co-owner of TPG. His record of investment in the Russian market was tested when he tried to sell shares in the Lenta supermarket company a year ago on the London Stock Exchange – and failed. Bonderman is trying to sell out again this month, although Lenta has yet to divulge the prospectus in which the terms of TPG’s exit will be revealed. Moscow industry sources say support from Rosneft for Magomedov is unlikely because Rosneft’s Sechin has opposed him on port investment strategy in the past. They are reportedly still at odds over Sechin’s attempt, along with the state pipeline company Transneft, to buy Magomedov out of Novorossiysk Commercial Seaport Company. At present about 30% of Rotterdam’s oil throughput originates from Russia. If Rosneft wants a position in a new Rotterdam terminal, Magomedov will have to convince Sechin why he is necessary.